How a proactive approach to boot-fitting can give core snowboard stores an edge in the internet era. By Andrew Duthie. Was snowboarding really better in the 90s? Probably – but if it’s a strong case for the defense you’re after, just dig out a shop catalog from any point in the 20th Century and turn to the boots page. While there might be some degree of variation, everything you see there will share a few questionable traits; limited color palette, curious shaping, and less support than a Sunday league football team, to name just a few. Glory days indeed. 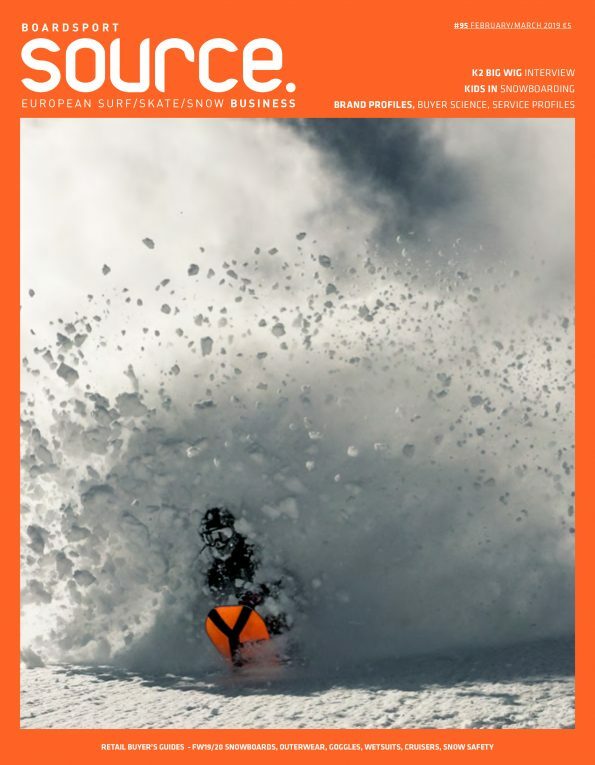 Another thing they’ll all have in common is that, were you in the mind to buy any of them, you’d have gone – nay, had to go – to a snowboard shop, whereas nowadays shred gear is readily available online. Meanwhile, the materials and technology found in the modern hoof have advanced beyond even the most chemically-assisted fantasies of your average 90s rider. While they’ll never have the ‘wow’ factor of a freshly-pressed snowboard adorned with killer graphics, boots have nevertheless got to the point where they’ll practically sell themselves. 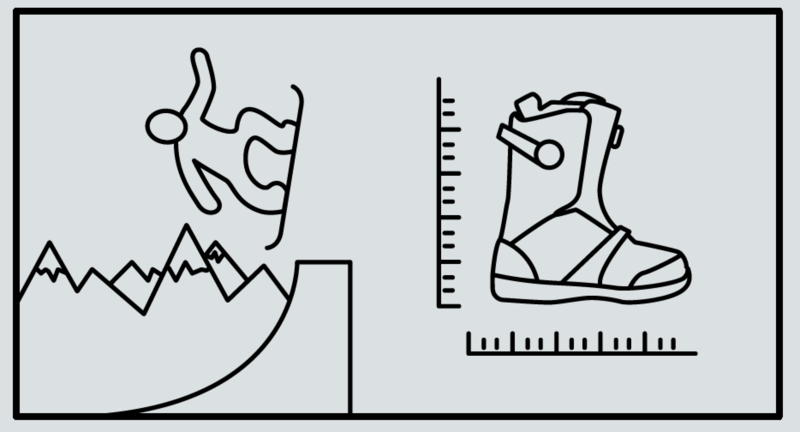 However, more and more retailers are realizing the huge advantage that the humble boot can give a snowboard store. Indeed, the heat-molding option – something that’s thankfully now available with the vast majority of boot liners – is a huge draw. As well as the obvious benefits in comfort and performance, staff can use that one-on-one time to find out more about the customer and recommend additional products. Case in point; if a customer is struggling with their purchase after a week on snow, then Snowfit-Revolutionz will allow an exchange for another pair (minus the equivalent of a week’s rental fee). That way, Chris explains, they’re not stuck with something that’s likely to turn them off to snowboarding altogether. In Chris’ view, no sale should ever be fully customer-driven. Even when someone comes in saying they want a specific boot, his staff will always bring them another pair for comparison. It’s great for the customer, who is more likely to find exactly what works best for them, and the extra-mile element of the service is also one of the best ways to avoid ‘showrooming’ – the practice of checking out a product in-store, then buying it online from whoever offers the lowest price. In much the same way that you’ll be more likely to leave a tip for great service at a restaurant (and conversely may never return to one that doesn’t deliver on that front), a snowboard shop can build a loyal customer base and positive word-of-mouth with expert service. And there’s no greater opportunity to win someone over than during a boot fit. Of course, you’ll still get those who will gladly eat up a good hour of a shop assistant’s time, only to take what they’ve learned and fire up Google. One way to potentially combat this is by charging for the fitting service up front, with the understanding that the cost will be refunded if it results in a purchase. Chris agrees, citing a recent example: “A guy came in for a jacket and pants to take on his second ever snowboard trip. I asked him how he got on the first time, and he mentioned that his feet had hurt, but that he was hoping to get lucky with the rental boots this time. Despite the difference in location and target market, these two shops seem to share a formula. If you commit the time and trust the customer, you’re more likely to see long-term benefits. And what of future opportunities? As boot tech continues to develop, perhaps there is lots of unrealized potential for a truly tailored boot-fitting service? A quick glance in the direction of the ski industry shows just how deep a dive it’s possible to take. In London, for example, there’s a shop that will analyze everything from your balance to your gait in the quest for a ‘perfect’ fit. It’s an exhaustive service and will set you back more than the cost of the boots themselves. Too far? Perhaps. Although having said that, no one could argue that there aren’t things to be learned from our two-planked friends. After all, they had figured out the importance of the heat-molding process long before snowboarders caught up. Max gets it; by working alongside an experienced ski boot technician and using technology borrowed from Fischer, he has developed what is surely the next level in snowboard boot fitting. Naturally something this bespoke comes at a cost; around €400, to be exact, although there’s a small saving on the cost of the boots as you’re only buying the shells. Even in relatively affluent St Anton, there have so far been just a handful of takers each season, but Max acknowledges that it’s still early days for this technology. There is, therefore, every chance that it could be refined for a wider market in the future. In the meantime, snowboarders of every budget now have access to heat-moldable boots, and shops should seize the opportunity that presents with both hands. Not only does it get customers through the door, it gives them plenty of reasons to keep coming back.